Monty is no longer with the company and I need to change the default email address to mine to received any notices from JotForm. I updated our service yesterday and also updated some of the profile fields, but it will not update the email address. 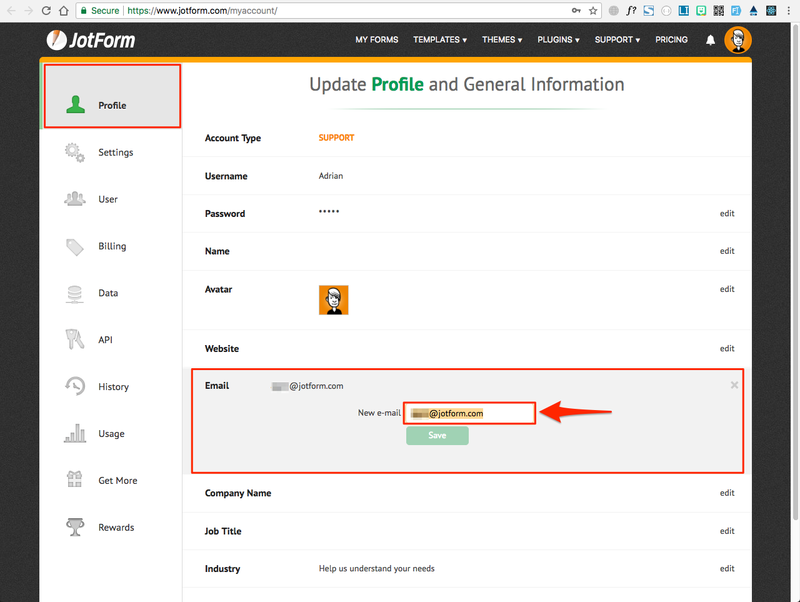 You can change the email address associated with your account in the Profile section of your account. Enter the new email in the New e-mail input and click Save.